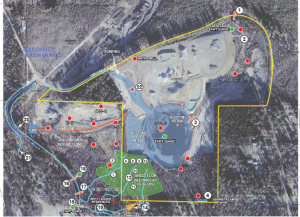 Project Accomplishments: Emergency response to flooding, interim actions to prevent future flooding, protected mining operation and downstream properties. In Washington, INNOVEX staff managed the emergency response and interim response actions for a major flooding event at an 85-acre open pit gravel mine. 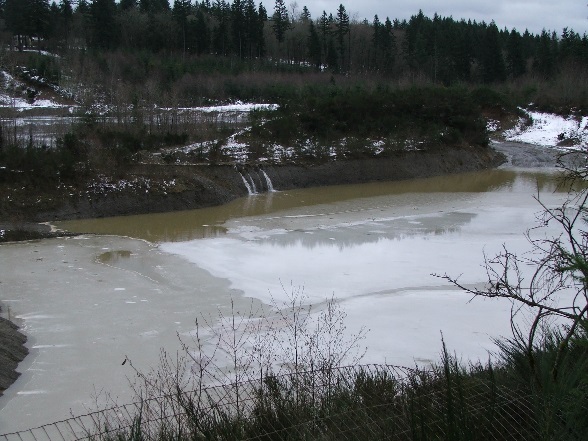 In January 2009, a combination of heavy rain and rapid snowmelt resulted in over 500 acre-feet of water entering the site from upstream during a 25-day period. This resulted in water saturating the ground, which then leaked out of the downhill side of the pit causing slope failures and threatening the safety of nearby residences. Over a period of 5 days, over 15 acres of the site filled with water to depths greater than 30 feet and water overflowed to adjacent roadways. The emergency response involved the immediate stabilization of roadside ditches and culverts and the rapid permitting (5 days) and installation of a pumping system that evacuated 15,000 gallons per minute to adjacent wetlands. INNOVEX staff coordinated with the Washington Department of Ecology’s Dam Safety Program staff and King County regulators on site to implement the emergency measures and develop an emergency monitoring plan to ensure pumping efforts were protective of public rights-of-way and private property. In association with the regulatory agencies, INNOVEX staff developed and managed the construction of a long-range solution to alleviate future flood risks to neighboring properties. 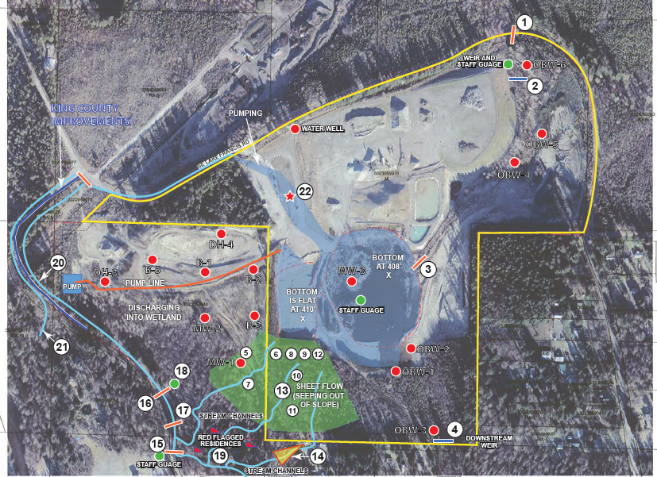 This “interim action” involved the design of a drainage adjustment to divert off-site sources of surface water that had been coming onto the site across the northern portion of the site and emptying into downstream drainage systems. These efforts were validated by Ecology’s Dam Safety manager and resulted in eliminating future flooding from affecting mining operations and endangering downstream properties.